Memorial Day at Old Friends is always bittersweet. 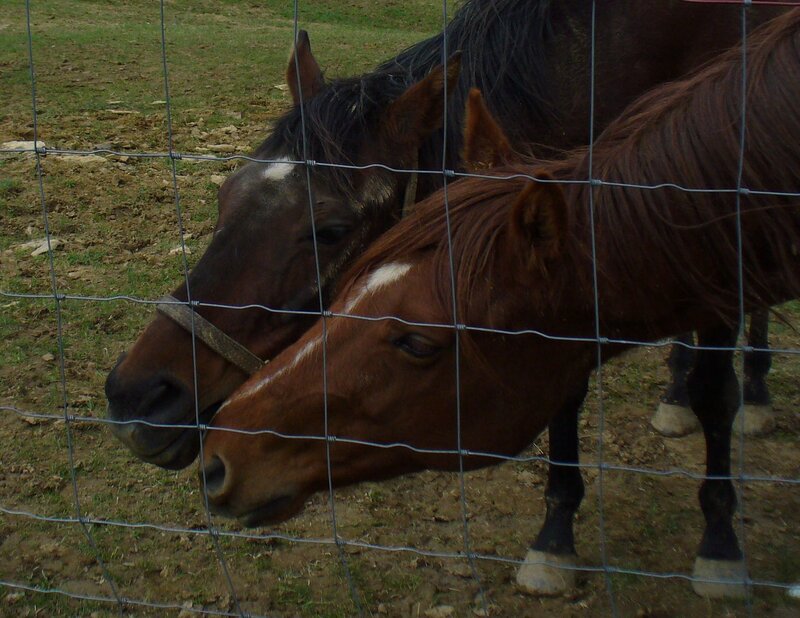 It’s hard to say goodbye to the horses who have passed during the year, but it’s comforting share memories with others who loved them. 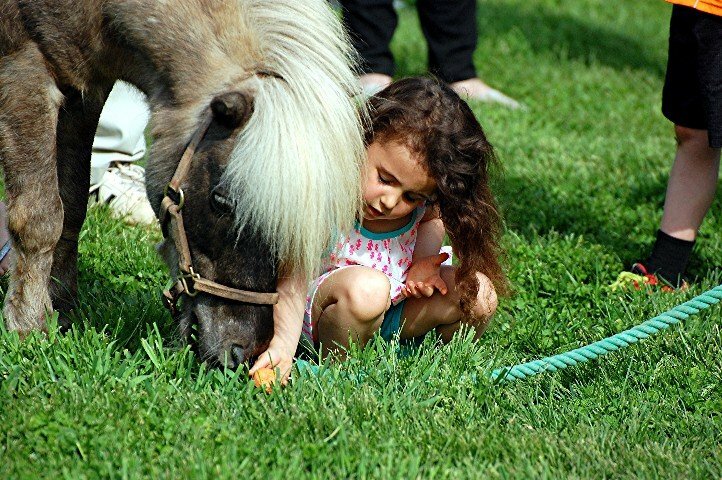 In some ways, every day caring for retired horses is about taking the bitter with the sweet. wishing nobody had the aches and pains of old age. Remembering them as young athletes or vigorous middle aged stallions and wishing he had good tendons again, or she could run carefree as the wind, or he could still see with both eyes, yet enjoying each of their pleasures in the secure retirement they so much deserve, and being thankful for whatever part you play—and so many people contribute in some many ways—to keep them secure and happy. So, you wake up, steel yourself for what you know will be a hard yet comforting day, only to learn it will be harder than you dreamed. 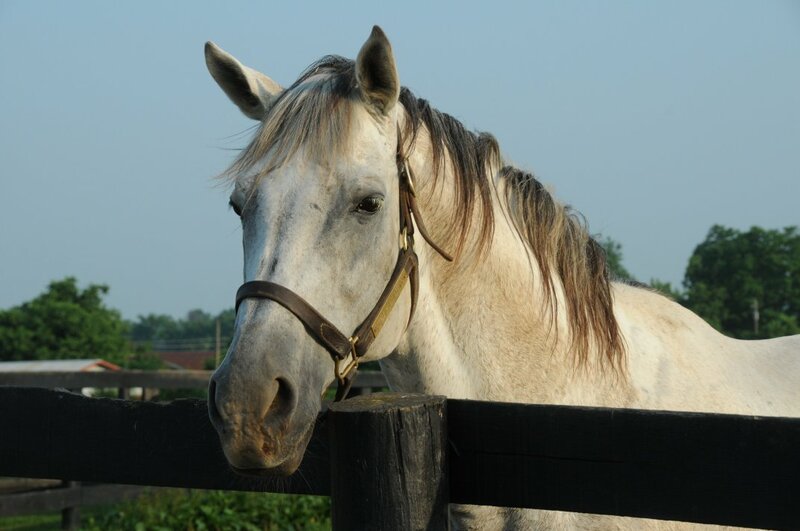 Early this morning Clever Allemont, our 32 year old hero and survivor, had to be euthanized. Had he been younger and less frail, surgery would have been an option, but because of Clever’s extreme age, along with the increased chance old age brings of fatal complications, attempting major surgery would not have been kind. All Michael and our team of vets could do was return some of the kindness to Clever Allemont that he gave us so generously for years. Clever Allemont. Photo by Laura Battles. Five and a half years, to be precise. Borrowed time, some would say. 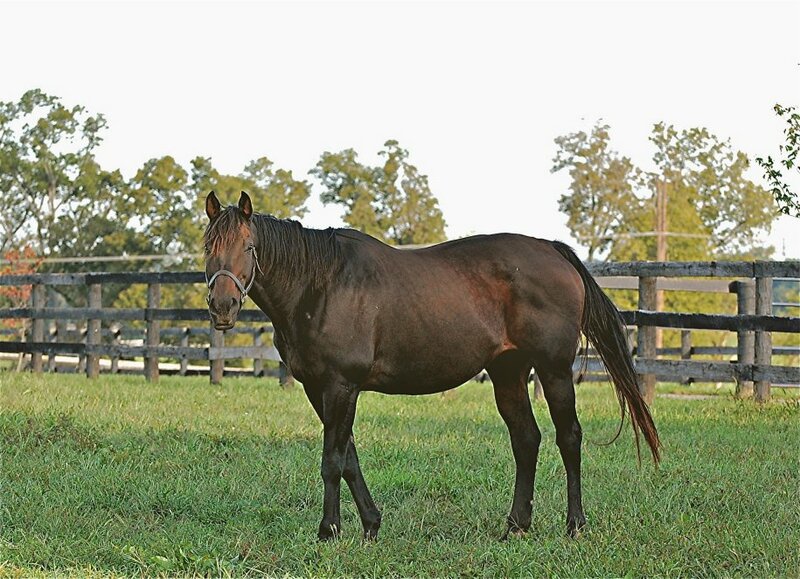 A triumph of love over greed, I call Clever’s journey from a kill buyer’s pen waiting for a slaughter auction, to a new life—half a decade, as it turned out—as one of Old Friends’ most loved residents, a gracious host, kind friend and inspiration to us all. Old and fit only to be thrown away at 26? Hardly! If you follow this blog or OF’s Facebook page, you probably already know Clever’s extraordinary story. Here it is, with photos of him. And a brief video of Clever by Wendy Wooley of Equisport Photos. And a vid I uploaded of him because I was so impressed that though he was one of our oldest horses (at 32, he lived to be our oldest to date), when he got down to roll, he was one of the few on the farm who could roll all the way over. So, sadder than anyone anticipated, a good showing gathered to pay respects and share memories. 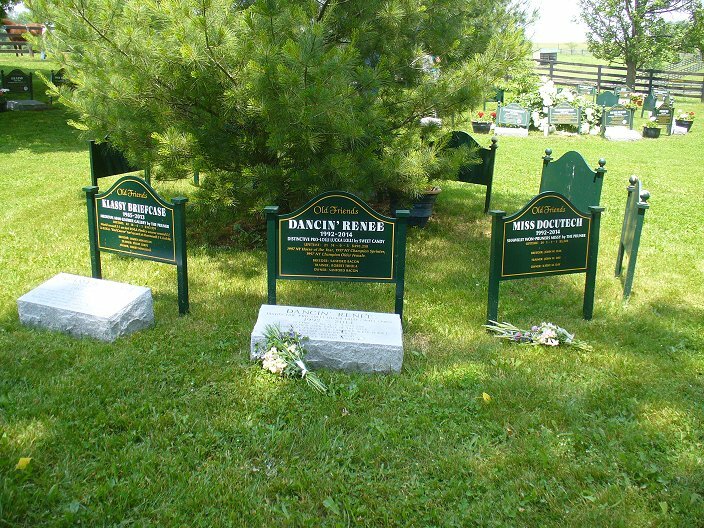 Racing writer Bill Mooney, OF’s official eulogist, recalled the achievements of those who’d passed during the last twelve months, then people who felt inspired to, recounted stories, or shared what a particular horse had meant to them. Though Bucky Sallee has retired as Keeneland’s bugler, we were lucky to hear his famous “Boots and Saddles” and the “Taps” Bucky played to honor the unforgettable Klassy Briefcase, Patton, Sunshine Forever, Dancin’ Renee, Miss Docutech, The Name’s Jimmy, Bull Inthe Heather, and Clever Allemont. Klassy Briefcase. Photo by Beth Shannon. Patton. Photo by Rick Capone. Sunshine Forever. Photo by Equisport. Dancin’ Renee. Photo by Rick Capone. The lovely-spirited Miss Docutech (bay with star) led a game of Simon Says with Hussonfirst (chestnut with blaze. Hussonfirst is alive and well). Photo by Beth Shannon. The Name’s Jimmy. Photo by Laura Battles. Bull Inthe Heather. Photo by Laura Battles. 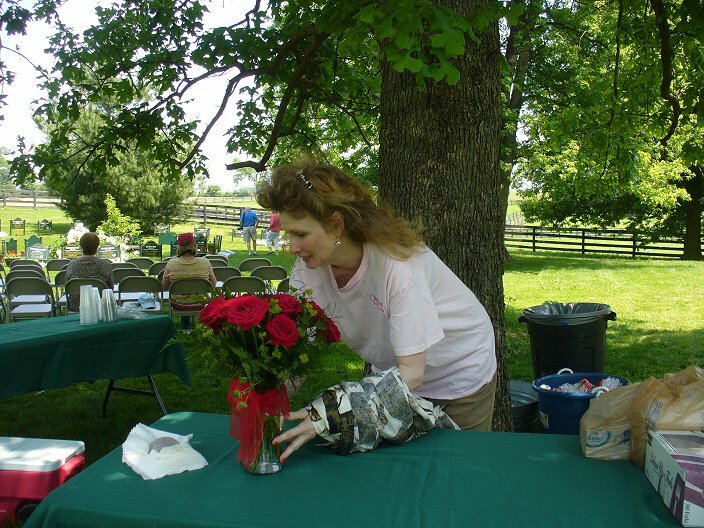 On Saturday, May 3rd, Bea Snyder and Viv Morrison returned to Beulah Park to host the final Old Friends Day honoring Appygolucky. It was the last day of operation for the historic Ohio racetrack . Although the day was bittersweet, it was heartening to see many of the familiar faces who have supported Old Friends and the legacy of Appygolucky. Over 5000 patrons turned out to wish the grande old dame a fond farewell as the lines stretched from window to apron. A constant stream of visitors to our booth included Sunshine Forever’s groom from his Darby Dan days and the kind woman who was The Name’s Jimmy’s biggest fan, as he shared the same name as her late husband. 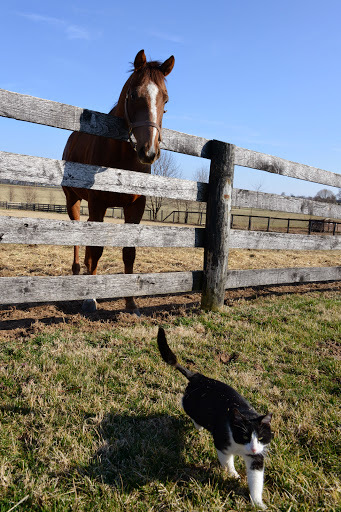 There was even a visit from Mikethespike’s former connections, who expressed gratitude to Old Friends for our efforts to secure a safe retirement for the grandson of Black Tie Affair. Thanks to a lively group of bidders at our silent auction, we raised just over $2000 to support our great retirees. 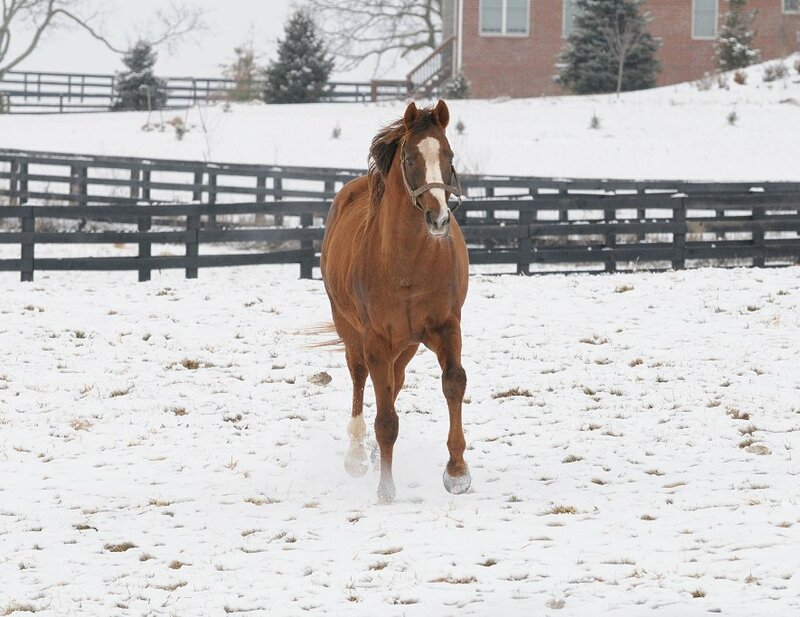 The day also marked the 5th anniversary of Appygolucky’s retirement from racing and his presence was in evidence throughout the day. His former owner and jockey captured the training and riding titles and at the end of the day it was official. The scrappy bay gelding, dubbed the King of the Claimers by Michael Blowen, would remain the proud holder of the track record for a mile on the Beulah oval. Despite the hardscrabble reputation of the facility, I can’t help but think of the good people who gave the place a heart and the warhorses who ran their races there with every bit as much heart as a Grade 1 winner on the first Saturday in May. Special thanks to Holly Chandler, who kept our day at Beulah going until the end, Mary Oakley who has been faithful in her support each year, Laura Rackar who was responsible for the genesis of Appy’s retirement, Beulah Park GM Jim McKinney, and all those who donated and bid. 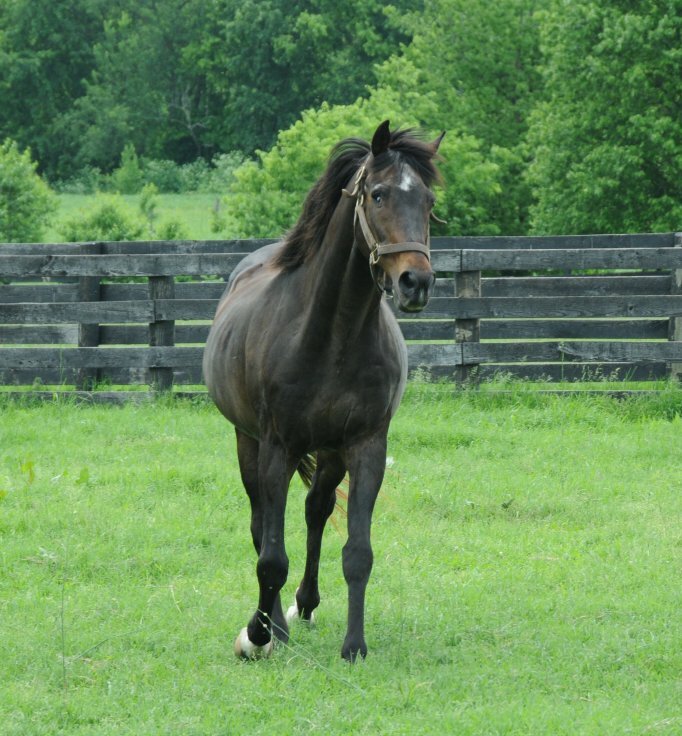 From Beulah Park came several of our current retirees, including I’m Charismatic, Mikethespike and Ohio bred millionaire, Catlaunch. 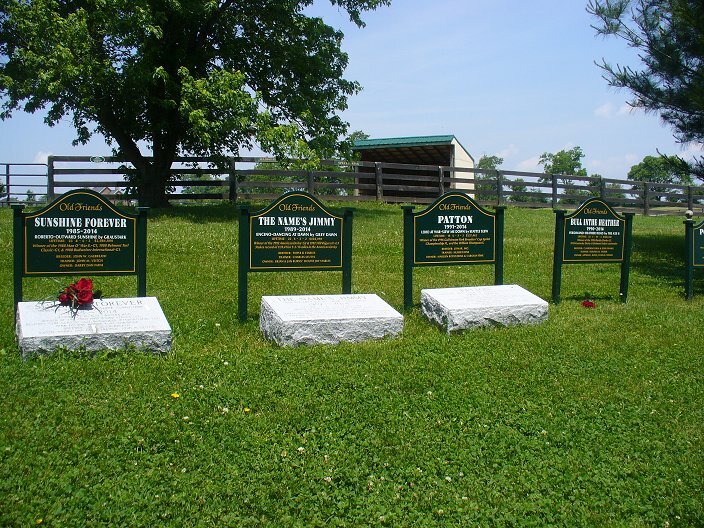 They are the lasting legacy of this now bygone era of racing in the Buckeye State. After several years of unseasonably cold, gray days with torrential downpours, Mother Nature finally decided to smile on our annual Homecoming. 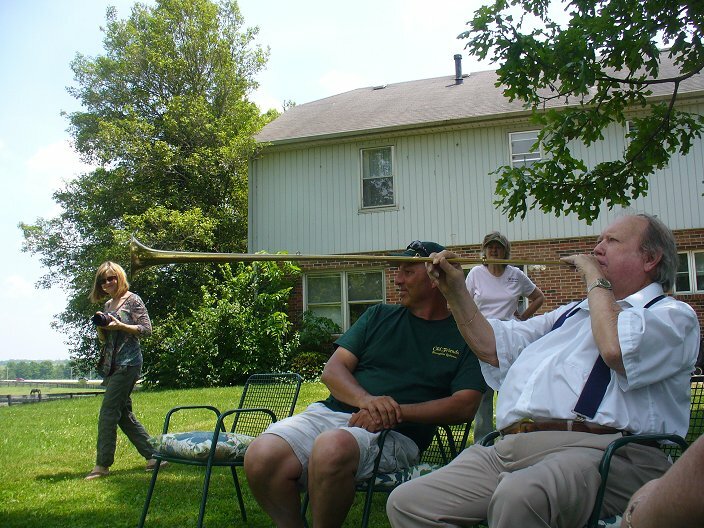 The skies above were a bright Kentucky blue and a steady breeze rustled the leaves above our heads. 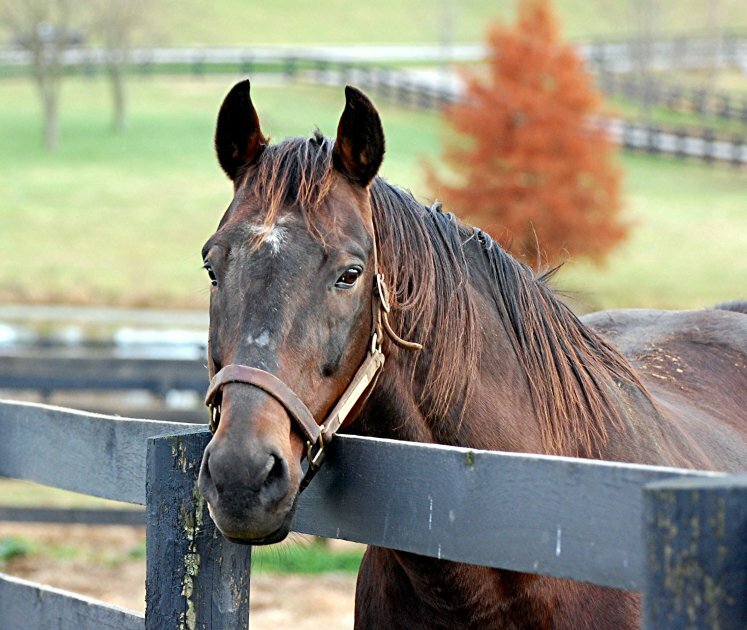 I’ve come to think of our Homecoming as a gathering of friends from near and far, a chance to meet and greet with those that support our wonderful Thoroughbred athletes. 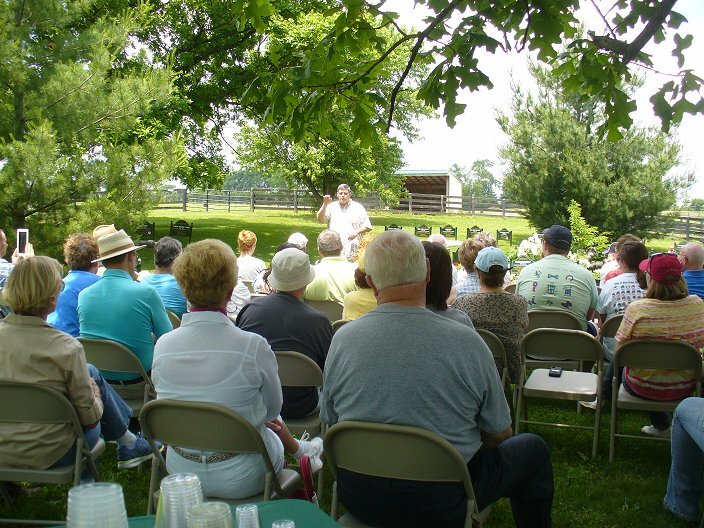 After an emotional closing day at Beulah Park, I was content to sit on a railroad tie under the shade tree, eating delicious barbecue provided by Furlong’s Catering, surrounded by a diverse collective of friends. 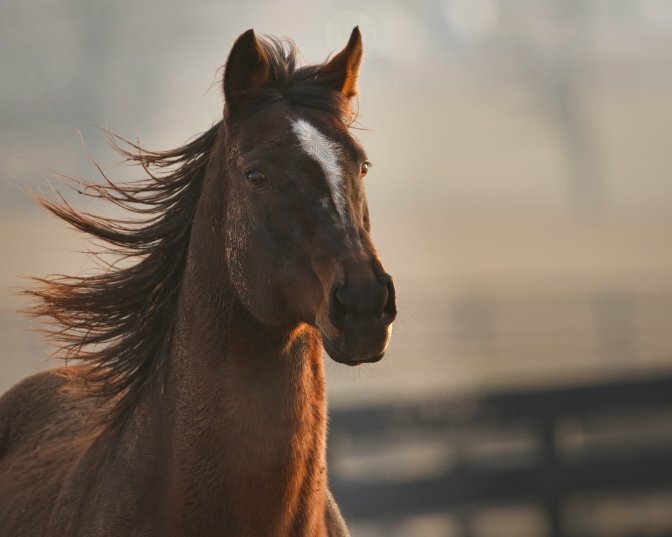 Among the locals were returning visitors from Oregon, New York, Ohio and the Derby City itself The one thing in common that brings us all together is a love and admiration for these magnificent horses. 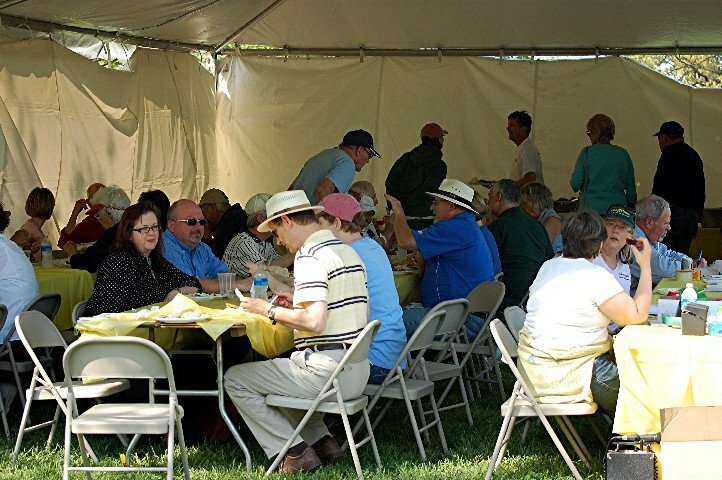 As strains of bluegrass music wafted over the crowd, patrons toured the grounds via John’s golf cart express and placed bids on silent auctions items. We were treated to a competitive live auction with the help of Old Friends volunteers and Seattle Slew’s jockey, Jean Cruguet. 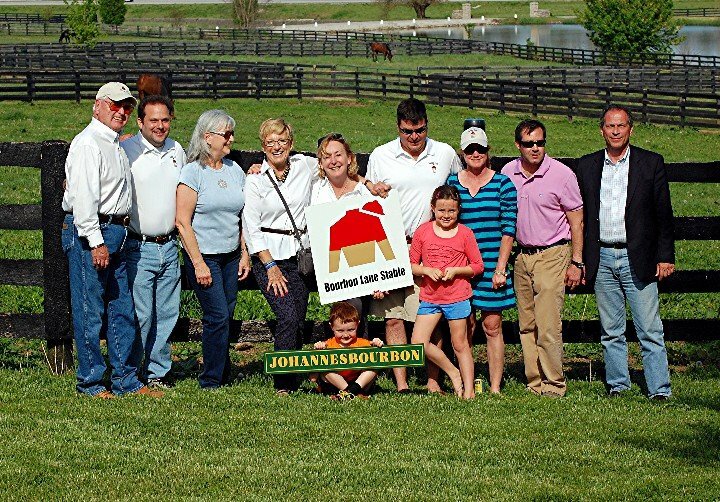 Michael took to the microphone to receive a generous check from Dr. and Mrs. Allday, followed by a dedication of the Boubon Lane Stables paddock, home of Ogygian’s great-grandson, Johannesbourbon. As the guests departed, a few volunteers gathered to listen to Kirsten Norris, daughter of Ogygian’s pals Kim and Shane, detail plans for her future film projects, including a possible feature on her favorite Old Friends, as Beebee the cat rolled in the grass playfully for Kirsten’s little sister Hannah. As the sun begin to sink behind the hill paddocks, I was left with the hope that with the next generation of the Old Friends family, the welfare of our horses, and those to come, is in good hands and kind hearts. May it ever be so. 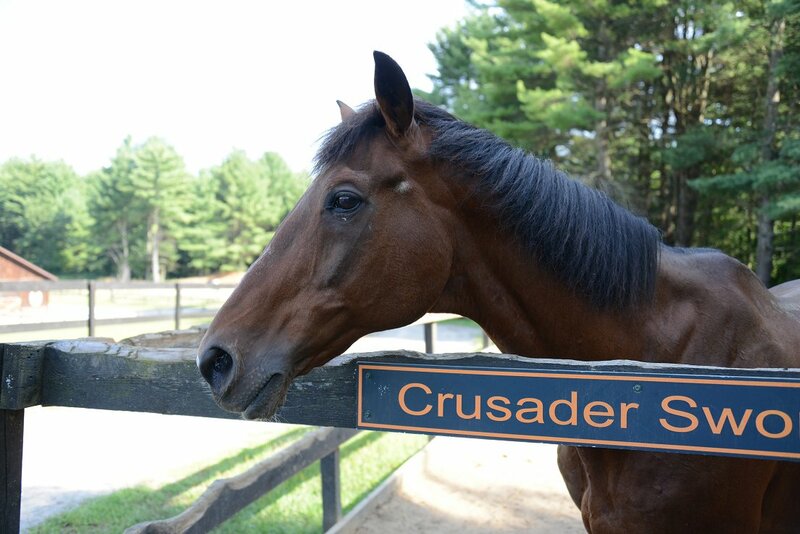 Finally, I couldn’t post without expressing our sadness at the passing of Crusader Sword at Old Friends at Cabin Creek. I count myself fortunate to have met him and feel much the poorer for not having known him better. 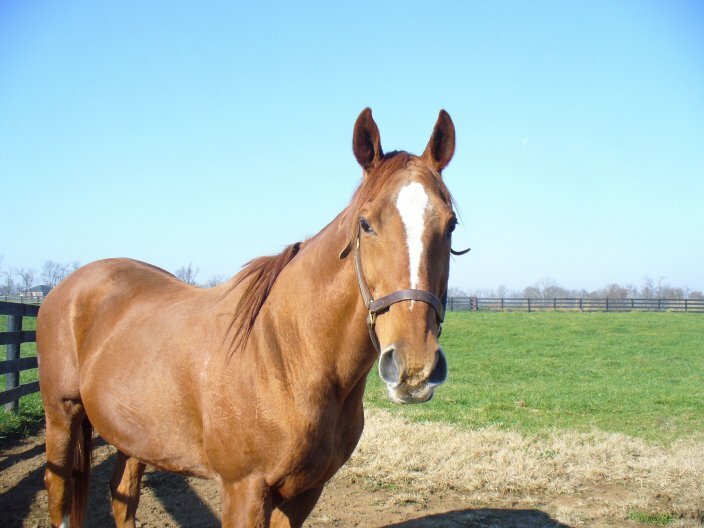 An extraordinary horse with a big personality. For more about Cru from those who knew and loved him well, see the OF at Cabin Creek site (scroll to News), or visit Old Friends at Cabin Creek on Facebook.